Are you a fan of the arm party? We are! Check out my most recent arm party look here. The best way to rock it? Wear a mixture of bracelets that don’t typically go with each other, but make it your own. Leather, gold, spikes, you name it! 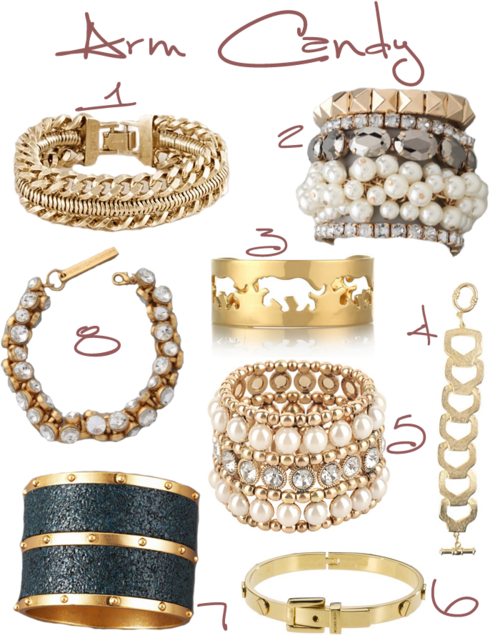 Here are some gold pieces to add to your own personal arm party!